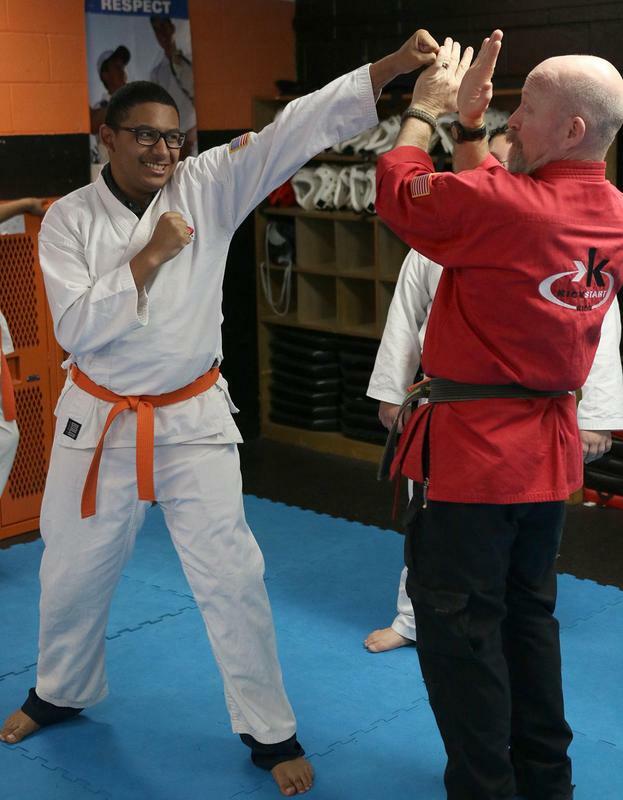 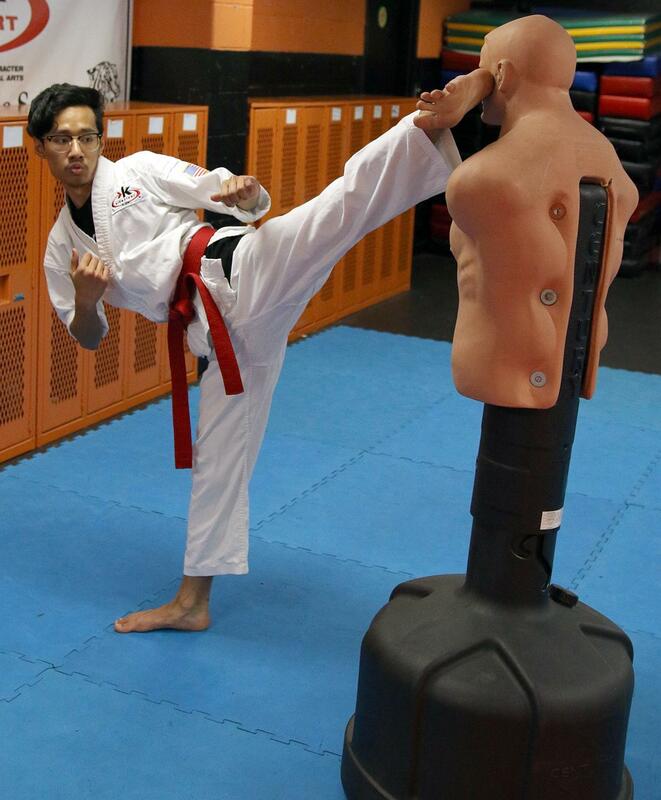 When anyone walks down the Orange Hall and nears room 601 at Lancaster Elsie Robertson Middle School it becomes clear that there is more than just karate and self-defense being taught in Mr. Kim Morgan’s Kick Start Kids program. 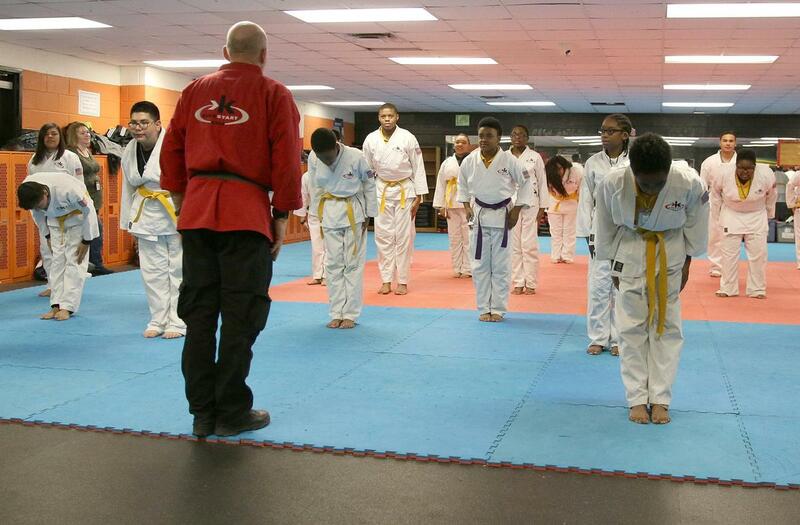 As soon as the door cracks open students face the front of the classroom and bow as they all say in harmony “Respect.” This is just one of the elements students learn as they work through their Karate moves. 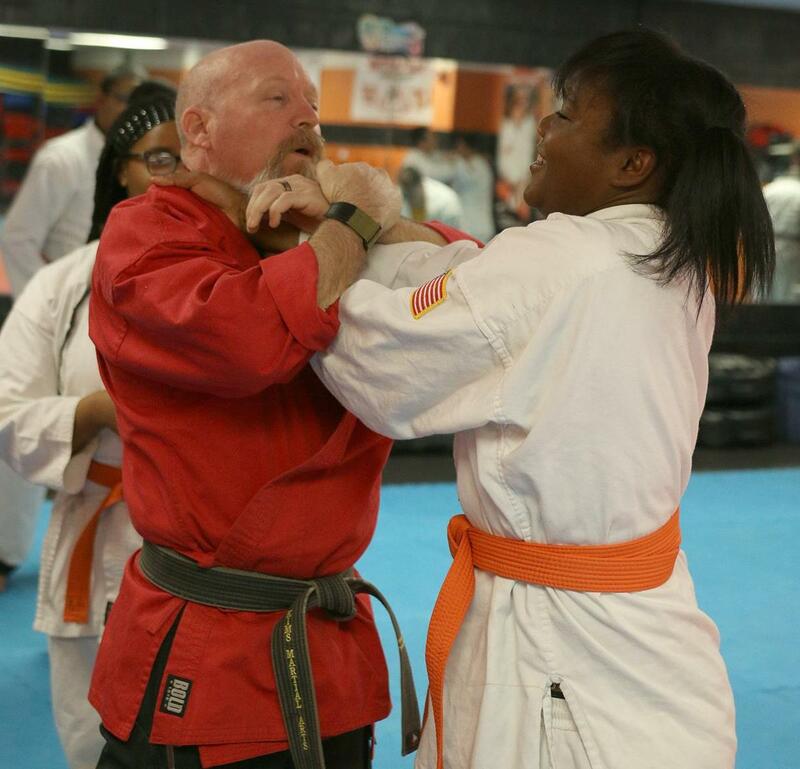 Kick Start Kids is a program that was founded by Martial Arts World Champion Chuck Norris in an effort to teach middle school students character through karate. The program has been part of Elsie Robertson Middle School since 2006 and has been under the guidance of Morgan since the second year of existence in Lancaster. 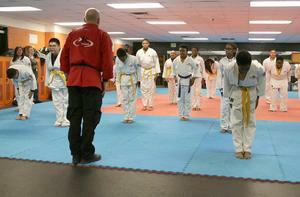 Parents say the program is a difference maker. 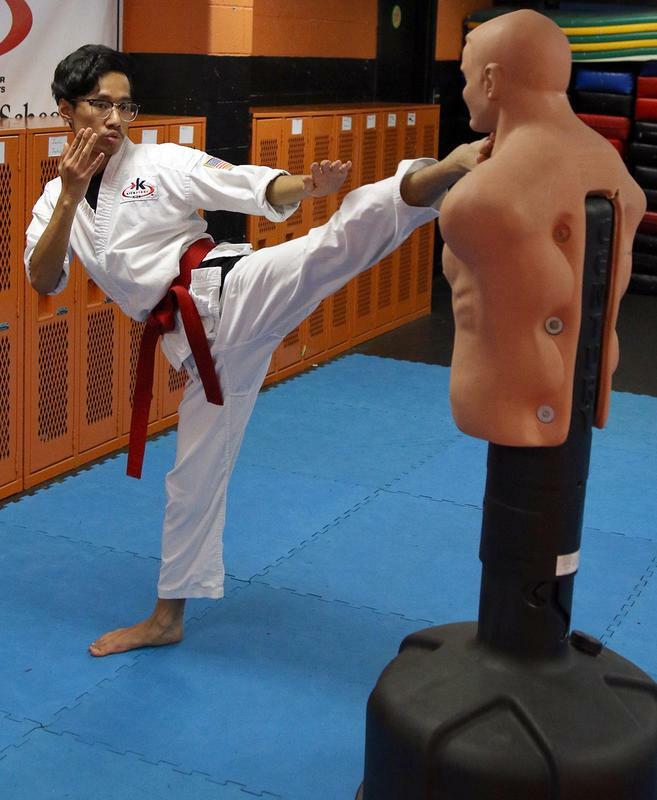 Karen Sei whose son went through the program in 2010-11 said she will forever be grateful to Mrs. Morgan for the impact he made on her son in the Kick Start Program.